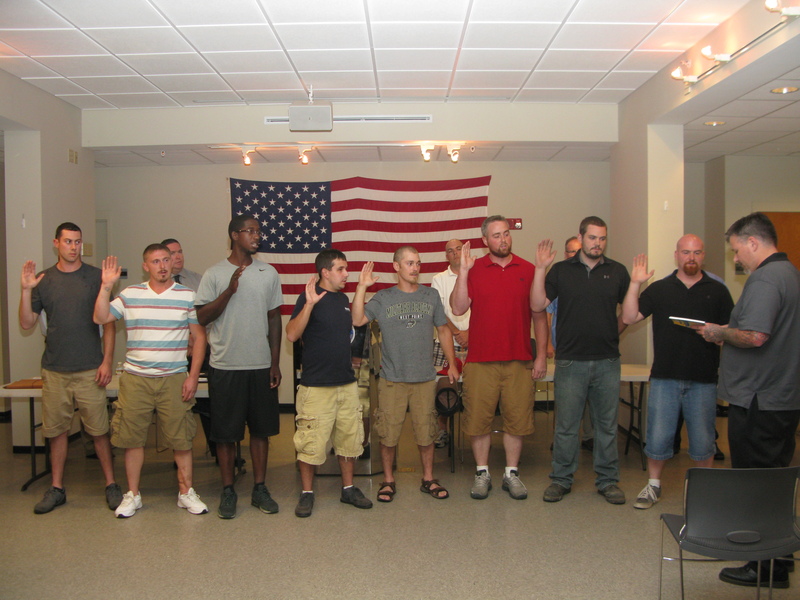 Eight new journeymen who completed their apprenticeship and passed the Massachusetts Sheet Metal Journeyman 1 License test were sworn in at the August union meeting in front of the membership. In attendance were family and coworkers along with many of the new first year apprentices just starting their careers. Shawn Leonard, Sean Hayward, Philip Sacco, Gerry Grabert, Jonathan Marshall, Ben Jantzen, Patrick Malone & Gary Lynch Jr. will be sworn in as Journey persons. Congratulations on passing the state licensing exam and being the newest Journey Persons in Local 17.